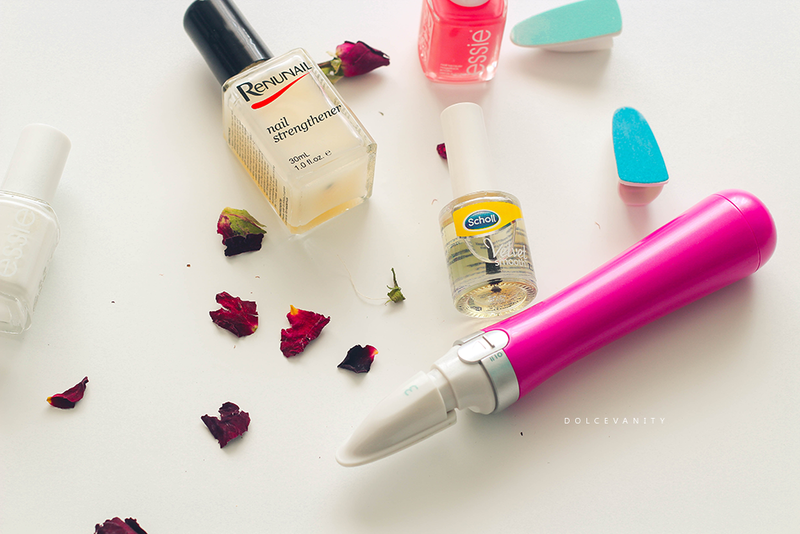 Scholl Velvet Smooth Nail Care. Happy to have my nails back, thanks to taking my vitamins, saying my prayers & good ol' nail care! I've noticed my nails thrive more with nail polish on them, keeps them a little bit stronger and I find with polish on them, I'm being more observant with the nail condition. But, have to also give them time to breathe and rest. That's about a day for me, walking around like I'm saying "How you doin'?" Wendy Williams style. Now you know I love me some Scholl products. If I go hard for a product, you know it works for me & with some fairly new releases, I'm here to present them to you & my thoughts. Scholl Velvet Smooth Nail Care, back in the day (not that far back) roughly 2011/2012 maybe I had this other Scholl system, Scholl Cordless Travel Manicure Set, has interchangeable heads, various forms of files & buffing. Reminds me of what they use at a nail shop, some of the files I found a bit too rough to use on my nails but this device makes it easy, just like each head, it's as easy as 1,2,3. You've your (1) File, (2)Buff & (3) Shine. The heads oscillate with a 2 speed setting, simple you file your nails, buff to even any ridges and shine to, well shine. After removing the polish and doing a baking soda + lemon juice soak & scrub, I dried my nails and buffed and shined. I didn't use the file this time but I did the week prior when doing my nails. I use it on the first setting which is the lowest with the file as I don't want too much pressure but I prefer to do it with an actual nail file as I can do the pressure and speed to my liking. The buff & shine, bring it on. I buff & shine until I get the desired smoothness & shine, using them both in combination is what I feel will work the best, don't just use the shine. Maximize the effect by using both. The first time I used it, I filed the nail bed too and did the steps and when I took off my polish a week later, my nails still had a nice smoothness & shine to them. Removes any roughness off the nails, also it gives a healthy sheen to them, nail polish glides on better too. This can be nice if you work in an environment where nail polish isn't allowed but you want your nails to look presentable. I know there are shine blocks for this but hey this takes the manual side out of it, if those aren't for you. And...the nail care oil. I've used probably 3 different brands nail oils, they all serve the same purpose just different oil ingredients but this one is a good'un. It's not as greasy as one I've used prior where it leaves this residue that doesn't seem to want to get off or absorb in the skin. Using this before I do my polish let's my cuticles and even my nail bed get some moisture, I'll rub it in, taking extra care on the nail sides and cuticle. Pushing down and massaging and I will get a paper towel and gently rub off any excess. I don't find this even interferes with my polish application, surprisingly. I've seen other people's nail routines where they'll brush over the nail bed with acetone to keep it oil free but I limit the acetone use until my nail clean up and once dry go over it again with oil & hand cream as acetone is absorbing the oil just reversing anything I've done on the nails. How are you currently caring for your nails? FACT : I wrote the word Nail 19x and Nails 11x, during this post. I really like the sound of the nail oil. I need to take better care of my nails! 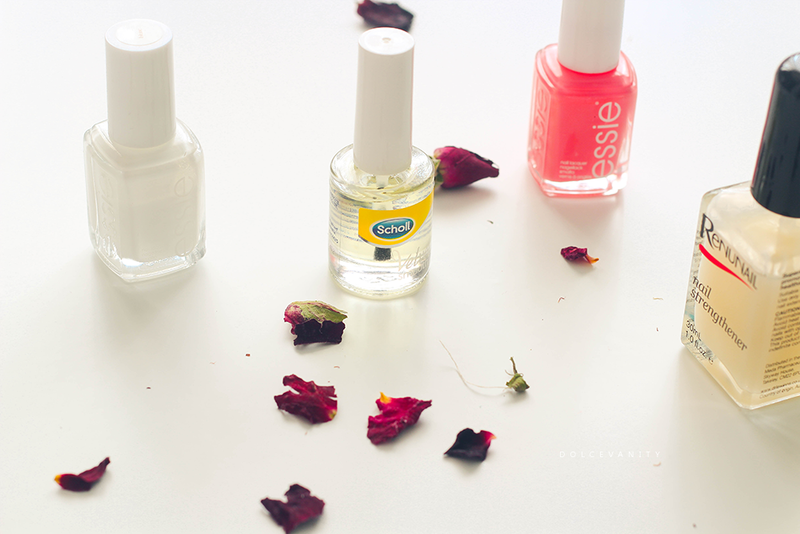 Yes the nail oil is lovely, I keep it by my bed to do it nightly!